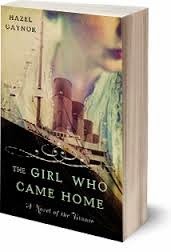 BleachHouseLibrary.ie: Guest Post - Lisa Redmond interviews Hazel Gaynor about her novel " The Girl Who Came Home ". 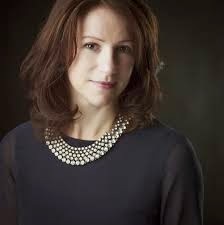 Guest Post - Lisa Redmond interviews Hazel Gaynor about her novel " The Girl Who Came Home ". Q1 What are you currently working on? With my debut novel, THE GIRL WHO CAME HOME, recently released, I'm currently busy with promotion, which is a really fun side of the writing process, and one I've never really experienced before. I've done lots of radio interviews with stations in the U.S. and Ireland and have been busy answering lots of great interview questions for book bloggers and the press. So much of the job of writing is spent in isolation so it's been really great to connect with readers and reviewers and come out from behind the laptop for a while! Other than that, I'm expecting final edits back any day for my second novel, DAUGHTERS OF THE FLOWERS, which will be published in early 2015. I'm also deep in the first draft of my third novel and tinkering with an idea for a screenplay. Q2 What is about your work and your writing process that is different from other writers? 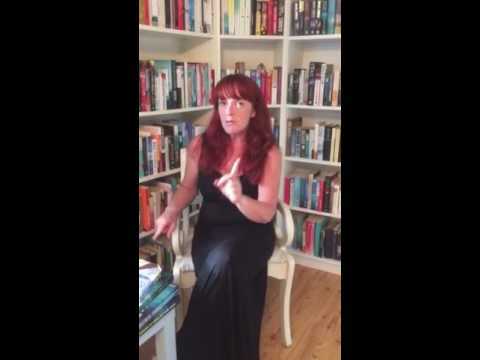 I suspect I'm very similar to most other writers in that I struggle and I suffer from self doubt and I procrastinate and I wonder how on earth I'm ever going to write another book! I consider myself to be on a wonderful learning curve and I expect (hope) to get better with each novel I write. Every book is an opportunity to stretch yourself that bit further and to learn from the experience of each novel. I'm a long way from where I want to be as a writer, and I know that I have lots more words and novels to write in order to get there, but I am relishing the process and the experience and am excited to see where my writing might go in the future. I'm probably way more disorganised than other writers. Thankfully, nobody can see my desk! I write because I simply cannot not write (if that makes sense!) Even when I was at my lowest point, without an agent and with two novels that had failed to secure a publishing deal, I found myself back at the laptop or scribbling ideas in my notebook. It was the only way to lift myself out of my dreadful writing funk. I think if writing is in you there's not much you can do about it but let yourself write. I write historical fiction because I'm fascinated by the past. There are so many untold, intriguing stories of people, events and places and I really find it a wonderful basis to explore for a novel. I write fiction, rather than non-fiction, because I love the creativity. It's the possibilities and the imagined insight into what someone might have felt, thought or said in those historical settings that really interests me. I am excited by the lives of the people whose stories I want to tell in my own words - it is that which gets me out of bed at 6am. Q4 What is the writing process like for you, what is a typical day? There isn't really much that is 'typical' about my day. At the moment, I work during school hours (8.30am to around 1pm) and the afternoons are mainly about family and playdates and after school activities, but I can sometimes get a little work done, too. With my publisher and agent being based in New York I also find that I work at the end of the day, when the boys are in bed. It's a little chaotic and ideally it would all be far more organised, but that's not how my life is at the moment. It rarely is when young children are involved! I feel incredibly lucky to be doing a job I adore which gives me time with the children, so I have to be flexible and juggle to allow that to happen. Of course I have visions of the perfect writing space with no interruptions and a sweeping landscape to inspire me and weeks of uninterrupted creative time, but for now the attic, a sleepy cat and a messy desk is just perfect, because that's my normal. Finally any advice that you would offer to aspiring authors? Write what you want to write and what you are really passionate about. Don't try to force yourself to write a novel about something if that something doesn't excite you. It may have turned into a bestseller for one author, but that doesn't mean it will do the same for you. I wrote The Girl Who Came Home in 2011 and I am as excited and enthusiastic about the subject matter now as I was when I first wrote my research notes three years ago. I hope to be talking about the book and Titanic for many more years. Write the book you would want to read - and don't give up. Ever. You never know what's ahead. It is 102 years since the tragic sinking of Titanic and yet the story is one that never fails to pull at our heartstrings. We have seen the movie, read the books and think there is nothing else we can learn about the event. This book proves us wrong. Based on the true story of a group of people, all from the same small country town in Ireland, who travelled on Titanic in search of a better life. Only two survived. This is the story of the fourteen neighbours, their excitement, their nervousness, their awe of such a fine vessel and their limited interaction with the wealthier passengers on-board. The story is split in two; Maggie Murphy is one of the fourteen who travelled to America in 1912 and the reader learns of her harrowing tale from her journal entries as well as flashbacks. Grace Bulter is Maggie's great-granddaughter and is the one that Maggie chooses to share her memories with. The novel is written with great compassion and was obviously lovingly researched. Hazel Gaynor has looked at the tragedy from a different angle but has retained essential facts surrounding the ship and it's, now famous, passengers. A few details in the book were not ones I had known, little nuggets of information that are peppered throughout the chapters and added to the overall atmosphere. There is a look at what it was like for the family and friends, on land, who were desperately waiting for updates on the event and wondering if their loved ones were among the survivors. Even when disembarking in New York, following their rescue, the divide between classes was still obvious. Even in tragedy, status was everything. The writing is warm and affectionate to its subject as well as having a nice overall pace and chapter length. I would think it ideal for older children as well as adults and would work especially well for reading groups as there is a great section at the end of the book for further discussion. A special mention for the beautiful artwork of the cover too! I live close to the Titanic Museum, in Belfast, and have been itching to visit for the past two years. I think this novel has given me the final push I needed. I intend to visit in the very near future. Thanks to Hazel Gaynor for her research and dedication in the completion of this lovely book. I hope to see it in many hands over the summer.